Very few preppers know exactly what to look for in a survival emergency radio. Emergency radios are incredibly useful pieces of survival gear to have on hand when SHTF. Not only do they give you access to the outside world, but they can also give you news and weather/emergency alerts (which is HUGE if you’re bugging out or stranded). However most preppers have no idea what to look for when purchasing one of these survival radios (hint: you don’t want one that only charges on an outlet). When searching for an emergency radio, it’s crucial you pick one that can be charged in a variety of ways. 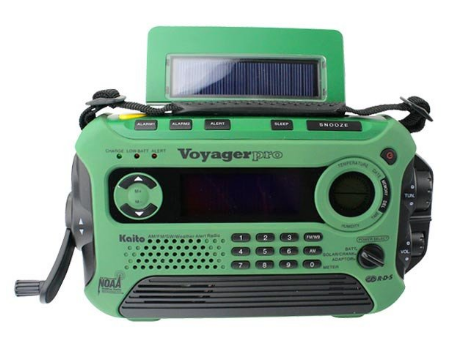 For example, battery operated radios are very important (be sure to stock extra in your bug out bag/survival kit). 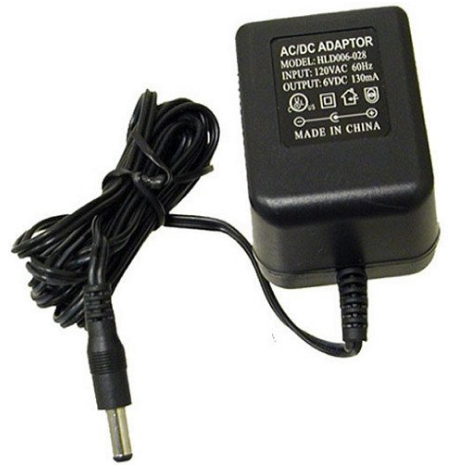 However, the radio should also be able to get its power from other sources, such as a hand crank or AC adapter. The goal is to be able to use the radio no matter what kind of SHTF situation you’re in. 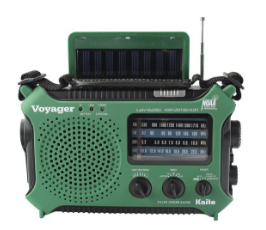 Above all, make sure the radio can be powered without electricity if the grid is down (solar powered radios and hand crank radios are excellent options for these). 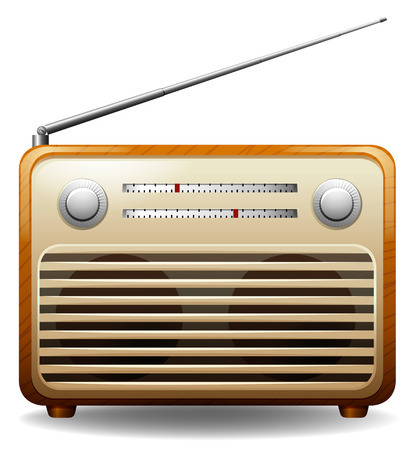 Before you spend $1000+ radio, consider the main reasons you’re purchasing it. After all, you don’t want to spend tons of money on a fancy radio with gadgets that you don’t actually need and won’t realistically use. For example, most preppers will need a survival radio that delivers weather and NOAA alerts. This is typically sent over AM stations, so receiving AM/FM transmission is important. Note: Most radios should have an NOAA sticker on them, letting you know they receive these alerts. Look for this sticker before buying. 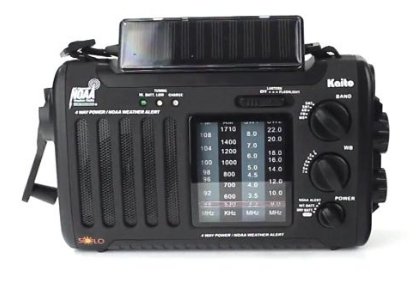 Many receiver survival radios use power slowly, so ones that pick up NOAA and weather alerts (as well as news/updates from the outside world) through AM/FM signals is typically fine for many preppers. These typically cost between $15 and $50 depending on their functionality. 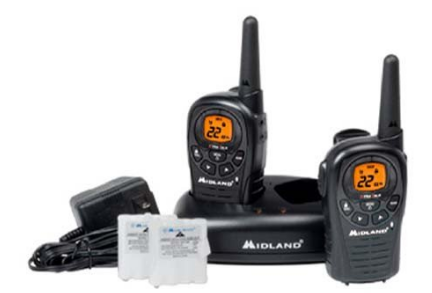 However, if you’re planning on also using the radio to communicate with others in your party, you’ll need to make sure to get a two-way radio. Keep in mind these can get more expensive than receiver radios and use more power to operate. Here’s an example of a great set for two-way communication; click here or on the image below for more info! Like I said, it’s perfectly fine to go with a standard survival radio that will receive NOAA alerts and AM/FM signals. However, a huge perk to some of the fancier ones is that they often have multiple uses. 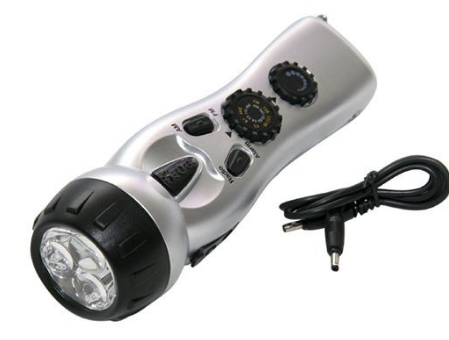 For example, some survival radios can also act as a lantern or a flashlight, allowing you to both hear what’s going on in the outside world, as well as to light your way in the darkness. These can also be extremely handy if your original flashlight is burned out or your lantern is broken. If you’re in an area that doesn’t allow antennas, you can avoid getting caught by making your own survival radio antenna. These are surprisingly easy to make, and can be hidden from sight if you need them to be. Making your own antenna is also a great option for emergency situations where you need to boost your signal. Note: Want more weird tips for having effective survival communication? Read the blog I wrote about it here. This is a fairly simple radio to make, and was used effectively during WWII. This one is only a receiver. 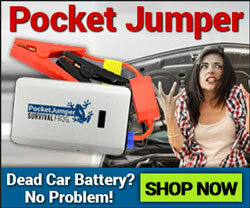 This one is great since it doesn’t require any external power to operate or batteries! When it comes to an emergency situation, one of the most important survival tools you can have are those that allow you to gain insight into what’s happening in the outside world. After all, if you have to bug out (or even if you’re stranded) it’s crucial to receive weather, news and emergency updates at all times in order to stay safe and plan your next move. 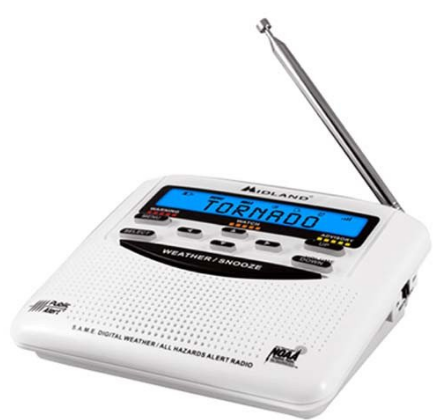 We have a variety of emergency radios in our online store that are extremely effective and receive important NOAA alerts, weather reports, and more. 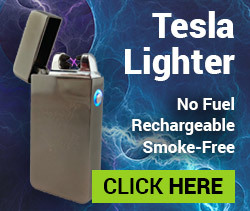 They also can be powered in a variety of ways, so you’ll never have to travel without knowing what’s going on around you. I’ve also included an AC Adapter in the below images that works with Kaito KA500 and KA600 radio models (both are featured below). 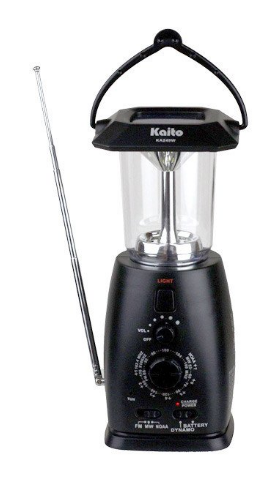 This will help provide you another power source to prepare you for disaster. 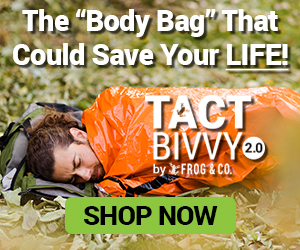 Click the images below to grab one of these awesome survival radios today, and instantly get better prepared for disaster. This entry was posted in Emergency Preparedness, Emergency Survival, Prepping on September 21, 2016 by Survival Frog.